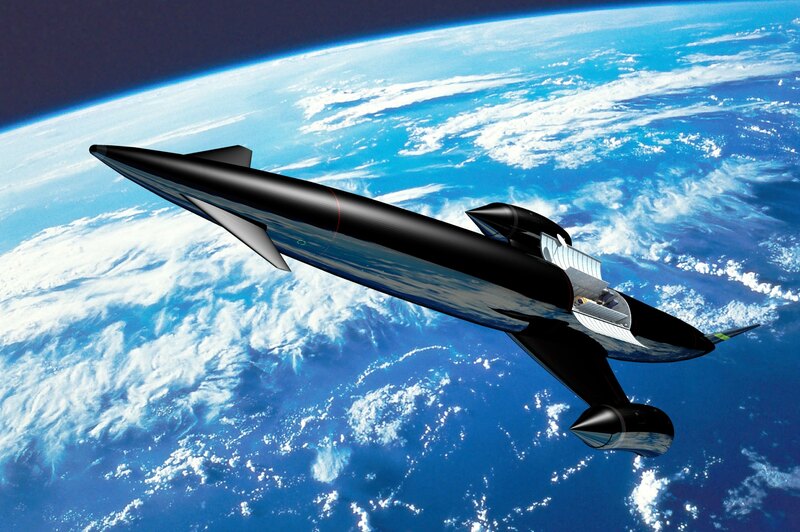 When it comes to high-tech flight, hypersonic is the undisputed way of the future. Not only is it the next logical step in the long chain from the Wright Brothers to supersonic flight (which humanity achieved in 1947), it is sort of a prerequisite in order for commercial space travel to take place. 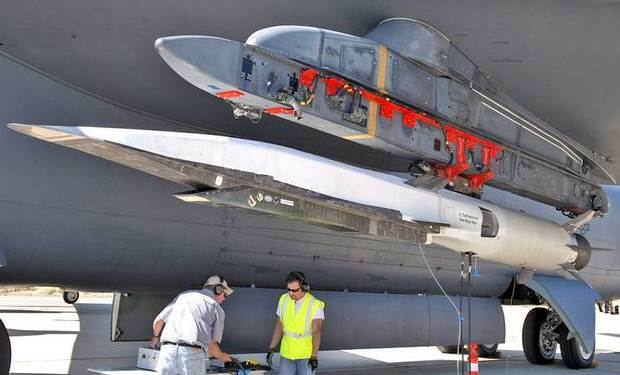 And on May 1st, the US Air Force tested its latest concept vehicle for going hypersonic, known as the X-51A Waverider. The test took place at Edwards Air Force Base in California, when a B-52H Stratofortress carried the scramjet to a height of 15,000 meters (50,000 feet) and then released it. A solid rocket booster then kicked in and brought the X-51A to a speed of Mach 4.8 in just 26 seconds. The solid rocket booster then separated and the X-51A’s air-breathing supersonic combustion ramjet – or scramjet – engine pushed it up the rest of the way to Mach 5.1 and up to an altitude of 18,300 meters (60,000 feet). Four minutes later, its fuel supply was spent and the scramjet nosed down, finally crashing (as planned) into the Pacific Ocean. The previous air speed record for manned flight is just under Mach 3, making this a rather large leap forward. In addition, in just over six minutes, the scramjet traveled over 425 kilometers (264 miles), making it the longest air-breathing hypersonic flight ever. In addition to being record-breaking, it also tested out an important concept which may soon get more of us here on Earth into orbit. Considering the cost of sending a single rocket into space, concepts for a reusable space craft that could break the Earth’s gravitational pull, fly itself into high-earth orbit, and then land again have been under review for some time. All that was missing was an engine that could accomplish the kind’s of speeds needed without relying on criminally-fuel efficient rockets. This apparently makes more sense logistically, and therefore could allow the technology to be applied on a broader scale. As it stands, this test involved the last of four X-51As to be constructed, the previous tests having taken place between 2004 and 2012. 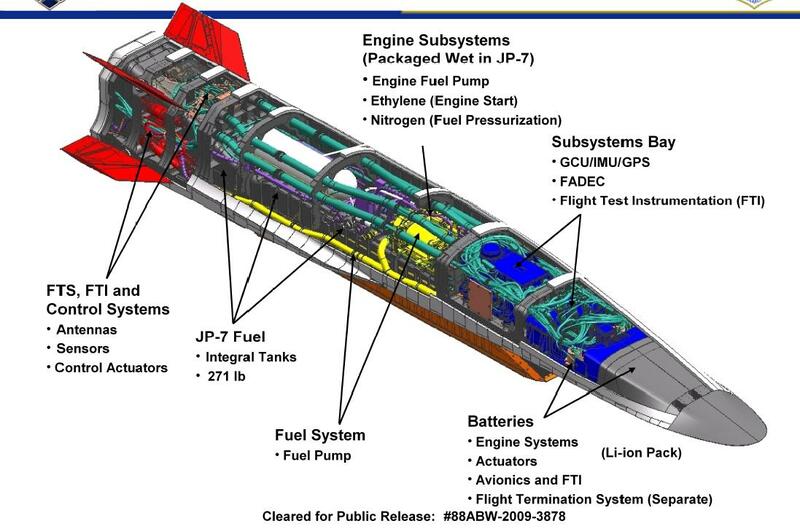 No plans exist for the construction of future X-51A vehicles, perhaps because the program cost a staggering $300 million. Nevertheless, Air Force officials indicated that the Waverider has left a valuable legacy. And certainly think so! Not only has the Waverider established a new air speed record, and set a hypersonic distance record, it has also taken an important step as far as the next generation of space flight is concerned. In time, and perhaps in conjunction with rocket boosters, we could be seeing commercial spacecraft capable of breaking the atmosphere very soon. It’s amazing how far technology has brought us, hasn’t it? And if they don’t make drones go this fast, we should be okay. Not likely. Can’t target mountainside villages accurately when you’re breaking the speed of sound. Oh yeah, or spy on civilians!